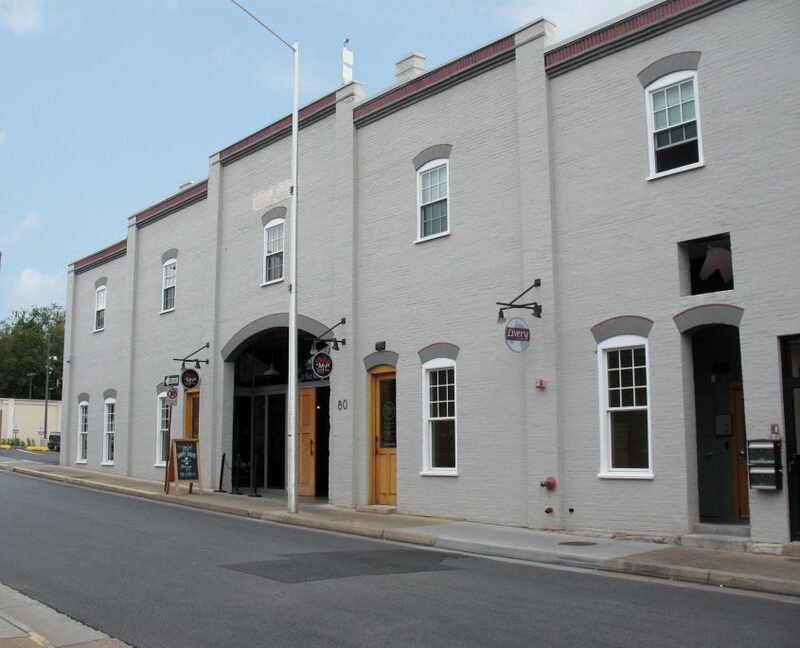 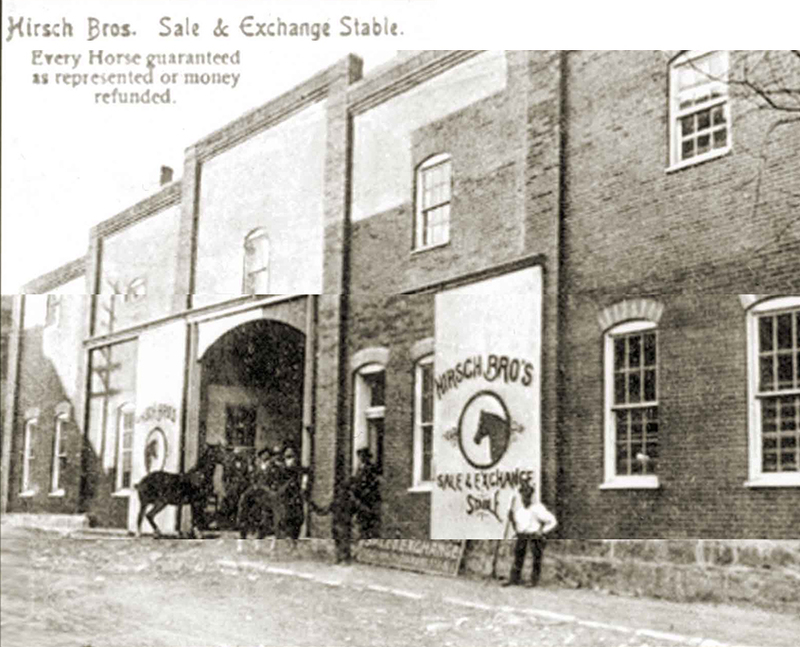 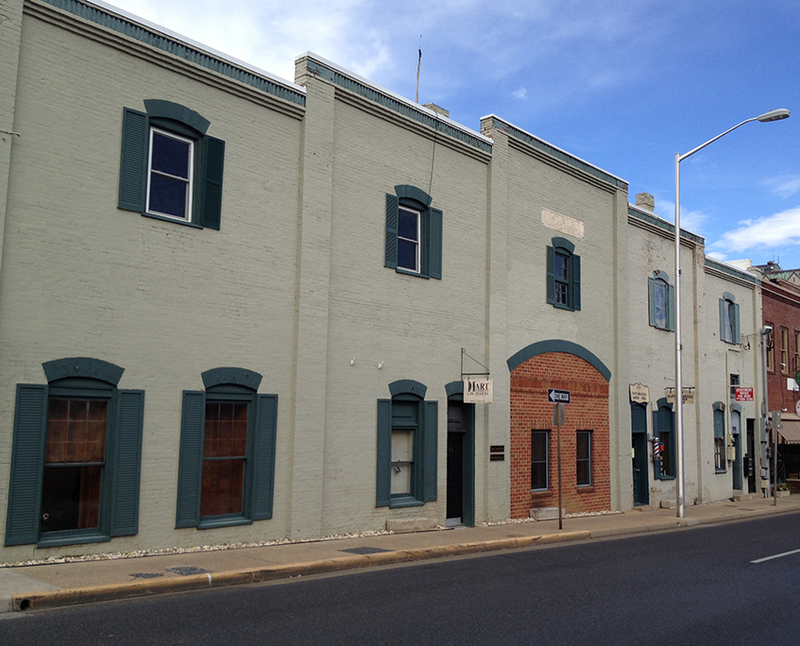 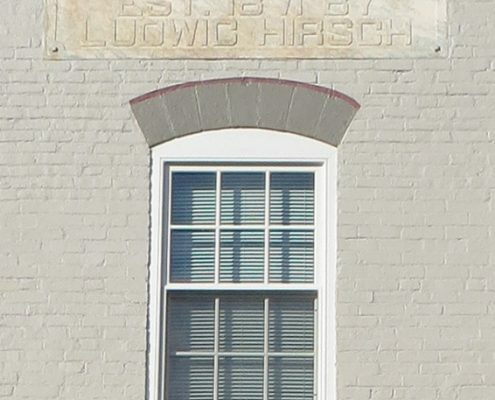 This 1871 building originally served as a livery stable in downtown Harrisonburg, Virginia. It featured a large arched central entrance for horses and wagons, and heavy post and beam construction reflecting its early industrial use. 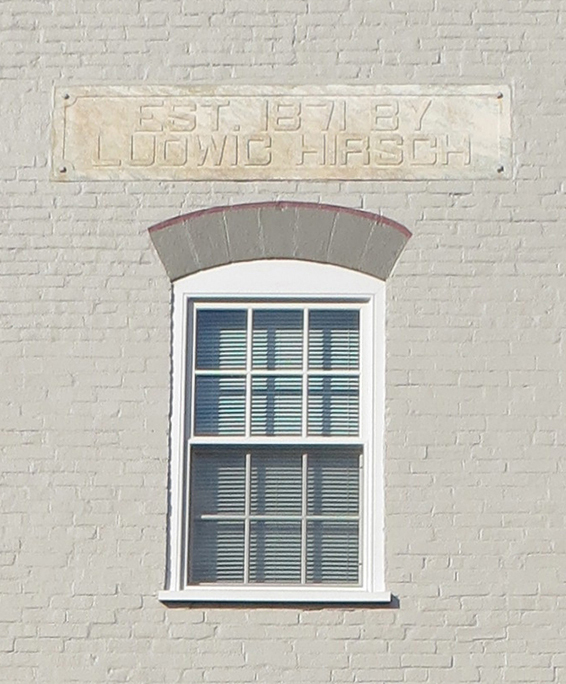 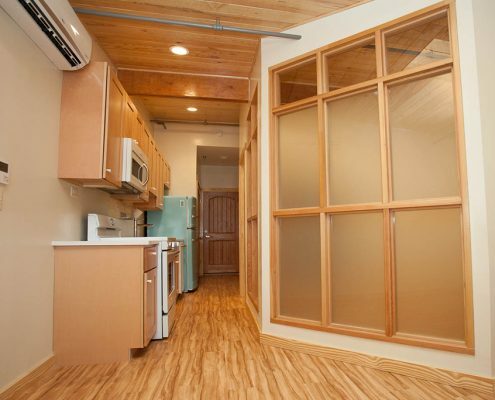 Over the years, the building was retrofitted for more modern uses such as offices and a barbershop. 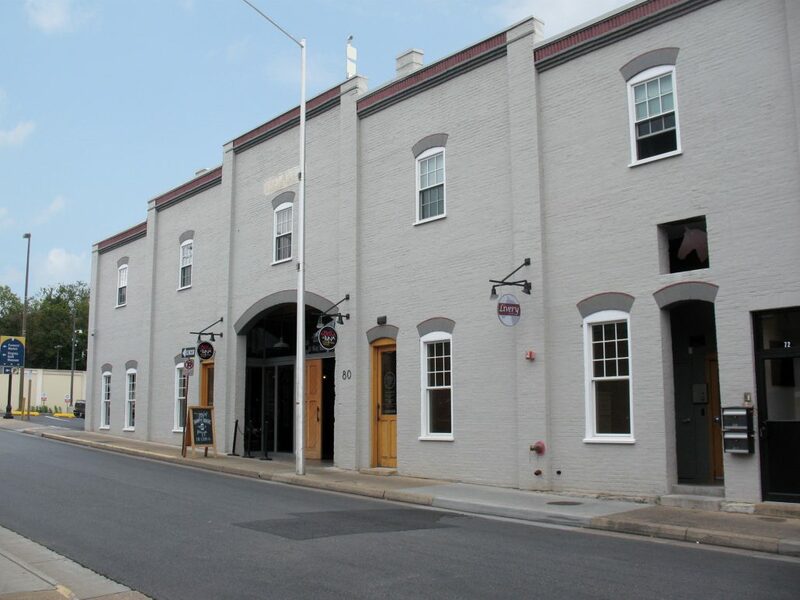 With this latest rehabilitation, the character of the building was restored. 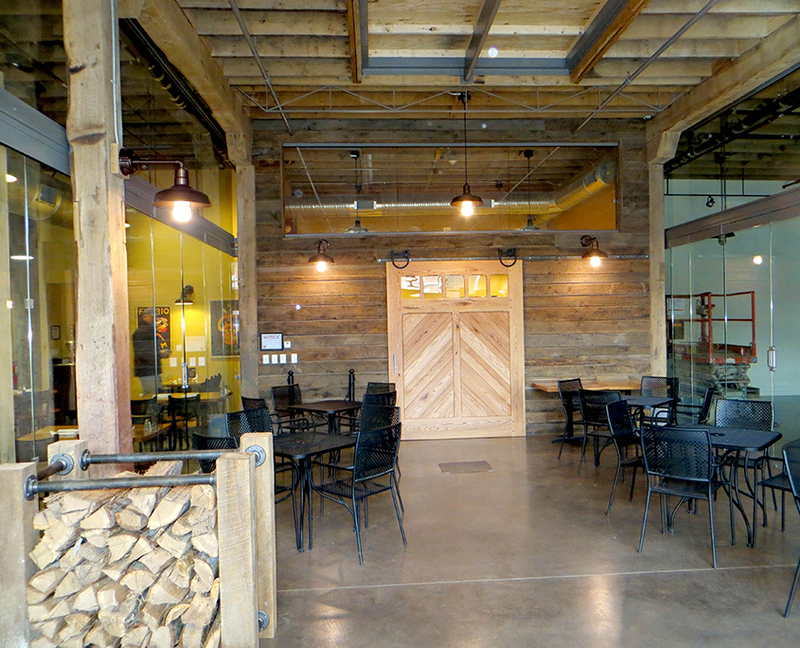 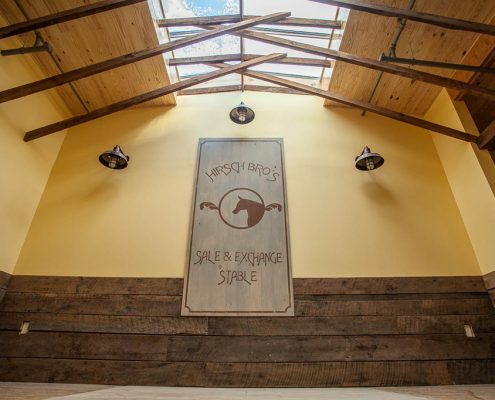 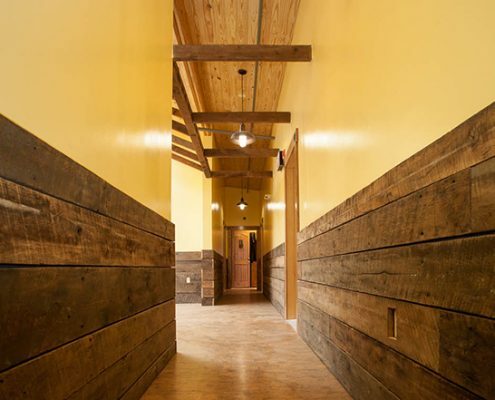 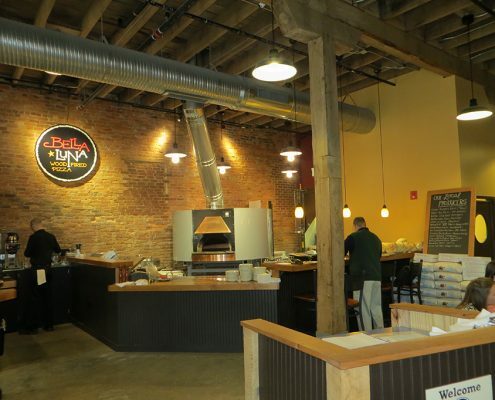 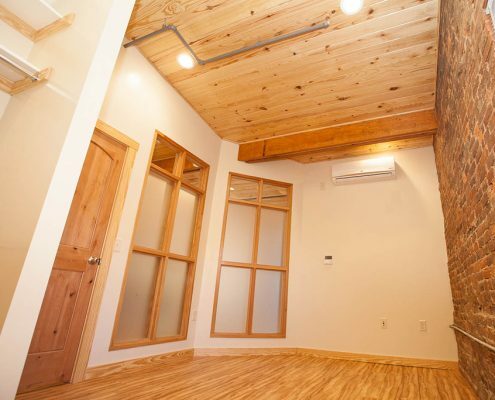 Historic features such as the posts and beams and exposed brick walls that once housed horses and hay now provide ambiance to twelve new loft apartments on the second floor, and a new restaurant on the first floor. 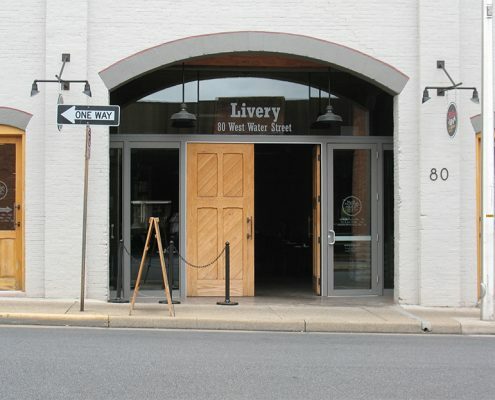 The large central arched entrance was reopened, and a new recessed glass and metal frame entrance installed for the new commercial space. 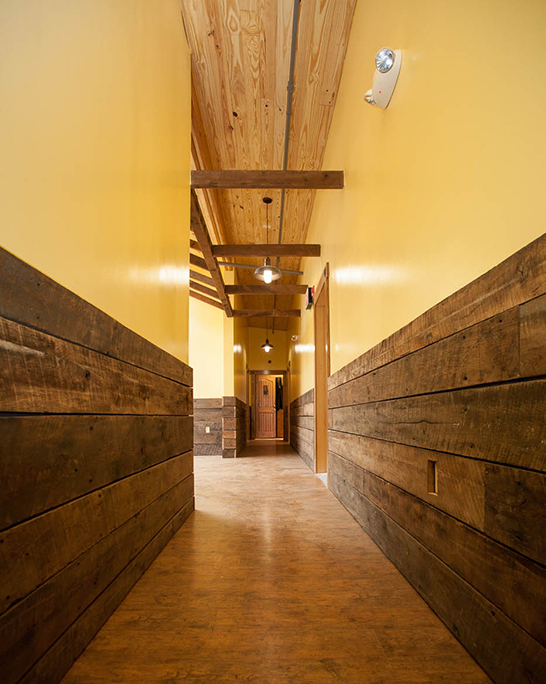 Frazier Associates provided full architectural design and tax credit application assistance for the project. 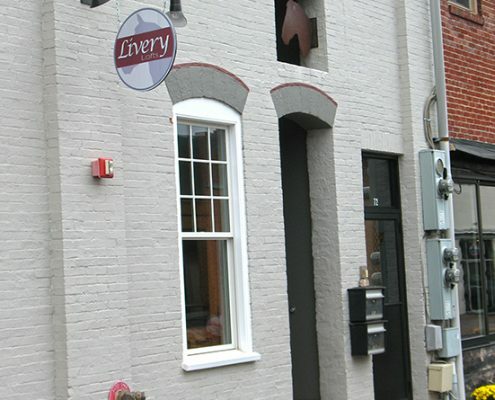 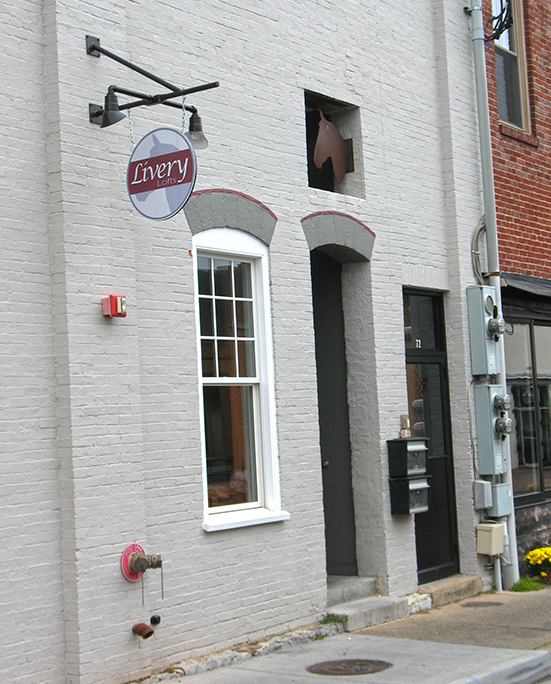 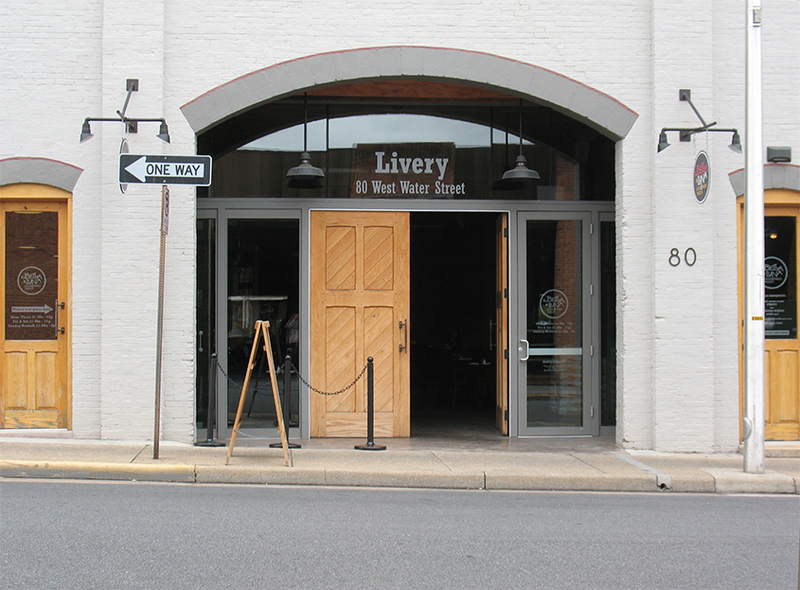 Water Street facade of the Livery after rehabilitation.